Easily one of the best things I have herd so far. Great story and performances. 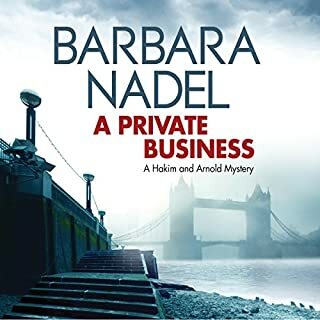 I listened to this only because I enjoy Nadel’s Istanbul mysteries so much. This was almost impossible to listen to. The story was tedious. The characters were uninteresting. The narrator’s speech mannerisms were annoying. I recommend that you try something different. The first series was cute. The second is truly funny. 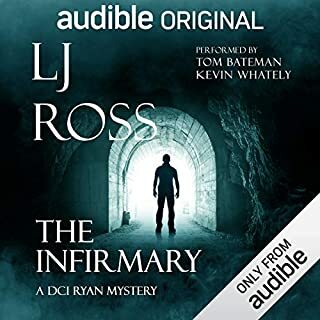 I binge-listened to this and of course I want more! 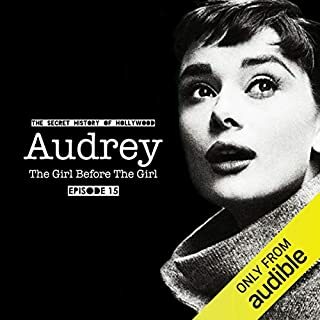 Audrey Hepburn is the biggest star on the American stage, and her inevitable invitation to star in pictures has arrived from William Wyler, who wants her for his new film, the notoriously unfilmable Roman Holiday. But Audrey's fiancé has other ideas. This series started slowly, but became fascinating. I was especially interested by the stories of Hepburn’s life during WWII. Usually when I finish listening to a book, I delete it right away. 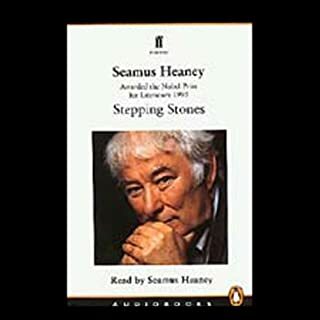 This book, so much better read by Heaney than simply read from the printed page, is one I listen to over and over. Bella Tyson is a famous 40-something crime writer suffering from writer’s block ever since a bitter divorce two years before. When a fan offers her the use of an apartment in Venice, Bella jumps at it, hoping a change of scene will have her writing again. Once there, she soon meets Will, a charming Englishman, who shows her around the city. Enchanted by both Will and her new surroundings, Bella decides to write a supernatural murder mystery and begins researching local legends and the city’s more sinister side, including an illicit visit to the island of Poveglia, spooky former home of Venice’s asylum. Chick-lit. A romance with dead bodies. 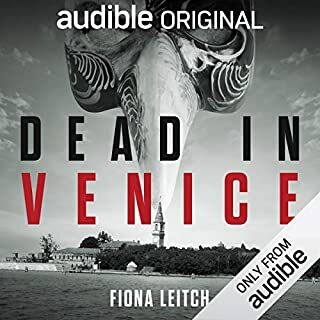 I’ll read most anything about Venice and I like murder mysteries, so I was okay with it. Unfortunately I could see the plot twists a mile away but still, it was reasonably entertaining. You’ll have to decide for yourself whether it is right for you. I liked the book, but I quickly gave up on having it make sense. characters come and go. Holes in the story are covered over by action sequences. It’s odd, though each episode is entertaining. I may not bother with the rest of the series. I want to agree with Klein. She makes good points. But she doesn’t follow up with detailed facts or analysis. She simplifies. She conflates capitalism with corporatism. She equates the New York Times, which prints a variety of opinions, with tyrants. She has written an interesting polemic. Maybe somewhere, after I stopped listening, she settled down to examine each situation, with names and dates and facts. But to bounce within a few paragraphs from New Orleans to Sri Lanka to Russia to Iraq is just too much. 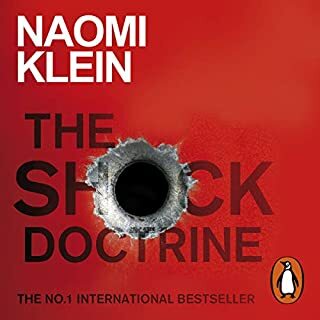 To argue that the first step must be a disaster, the shock in the doctrine, when in fact you can often just pay a few bribes, weakens her argument. 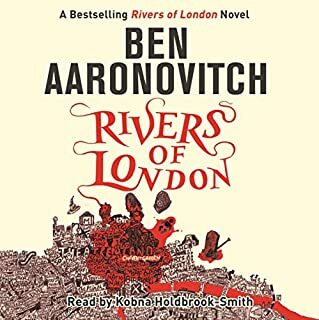 By the end of the second chapter, I just couldn’t listen any more. Too bad. Better presented, this book and its thesis could be quite powerful. 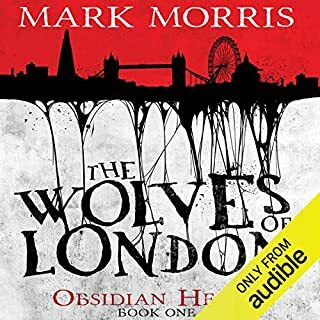 I enjoyed this book and will probably listen to the whole series. It’s a fantasy book, but based on enough reality that it’s as if it is all real, with some things you hadn’t yet noticed. Normally I prefer dramas with full casts, but this is written in the first person, so having just one voice makes sense. I’m glad I found this. 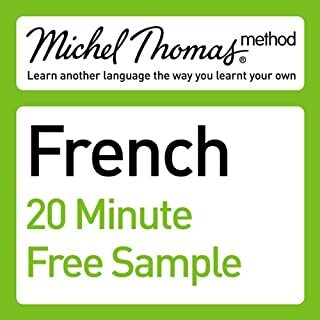 This is a sample of the best-selling Michel Thomas Method French Course, offering you a fast-track introduction to French. You learnt your own language naturally and enjoyably: now you can learn French in the same way. This is a great introduction to the course. Thomas has an interesting approach to teaching French. It won’t be for everyone. Frankly I like his reliance on using words that English and French have in common; the dreaded faux amis worry me much less than being stymied when I’m trying to speak. I like his use of « classmates » to work repetition into the course. Have a listen. See whether it works for you.